The fourth and final entry into OKC label Clerestory AV’s OKAY Vinyl Series pairs Austin’s Lord Buffalo with Tulsa’s Ester Drang to bring the series to an epic conclusion. The split 7” will be released April 12, in a limited edition of 300 copies on transparent olive vinyl. 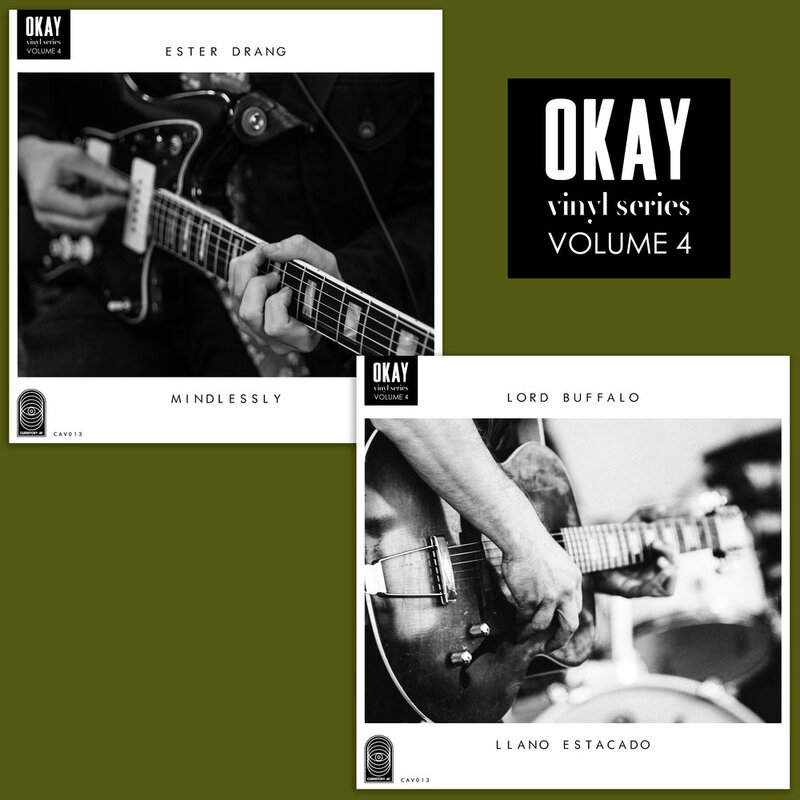 The OKAY Vinyl Series was launched in 2017 to celebrate a variety of musicians within the scope of a single ongoing project. Each record eschews the traditional A- and B-side format, with each artist receiving equal billing and one side of the jacket art. Previous entries into the OKAY Vinyl Series have featured Samantha Crain, John Calvin Abney, Husbands, Tallows, Doug Burr, and Beau Jennings & the Tigers. All songs from the series were recorded in OKC by Scott Johnson and Dustin Ragland at Stowaway Recording in OKC, and mastered by TW Walsh. Cover photos (1-2) by Ryan Magnani. Ester Drang studio photos (3-6) by Ryan Magnani. Lord Buffalo studio photos (7-10) by C. Stellman.